Capturing our imagination since centuries, the striking beauty and formidable presence of icebergs in vast ocean vistas often translate into stunning photographs from an other-worldly landscape. As one of 70 photographers from all over the globe, I was on the Joseph Van Os safari to the Falklands, South Georgia and the Antarctic mainland, November 2013. It was a month-long trip, and extremely strenuous due to various factors – the constantly pitching and rolling ship, the cold, the wind, making landings on the shore, all with the occasional rain and snow! As we started to inch towards the Antarctic mainland, however, icebergs began to appear, and the transformation in the landscape was magical. Icebergs are formed when a large chunk of a glacier or an ice-shelf breaks off and starts floating freely in the sea. They are classified, based on their shape, into tabular (which have straight walls and look like floating plateaus) and non-tabular, which have odd shapes. Icebergs can be massive; one was recorded to be the size of France! 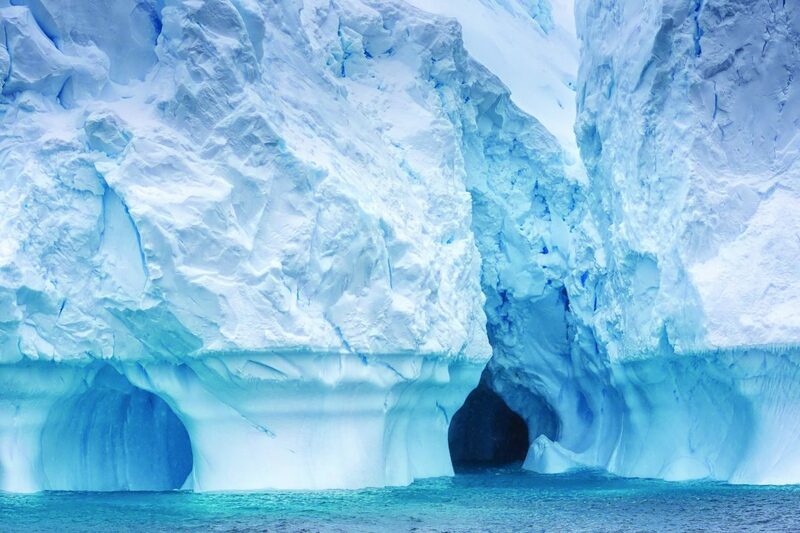 These structures contain air trapped thousands of years ago; we could hear a constant popping sound when the ice melted in the warm seawaters and the trapped air finally escaped. Some icebergs have a bewitching blue colour, believed to occur due to light refraction and the age of the iceberg. 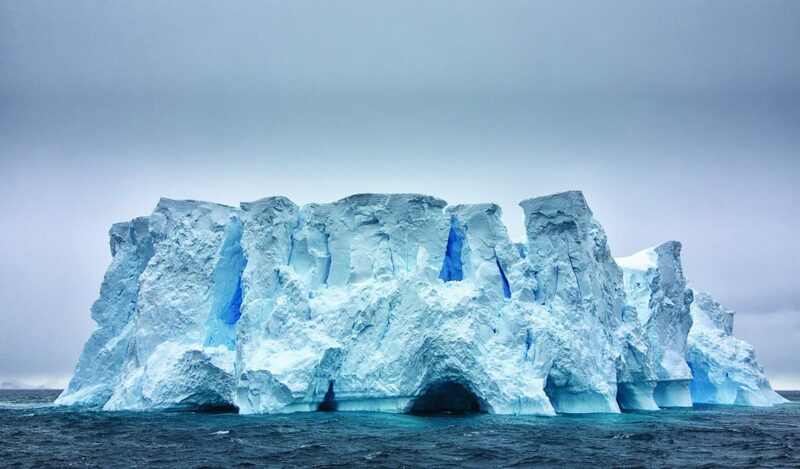 Older icebergs become greenish or blue due to the high concentration of coloured micro-organisms and compacted ice. Photographing icebergs can be challenging in several ways. In order to get close to some of these floating behemoths, we had to change into several layers of warm clothing, including thermal-wear, caps, gloves and protective eye gear. Then, we had to carry our heavy camera bags, and descend from the ship to small rubber dinghies fitted with outboard motors (these are called zodiacs) and move off to search for the more photogenic icebergs. The second challenge is the limitations faced by the camera and lens while capturing the beauty and the intricacies of each iceberg. The camera responds to the high amount of light reflecting off the surface of the ice by underexposing. One will need to compensate for this by dialing in suitable overexposure settings, and yet not blow out the highlights. 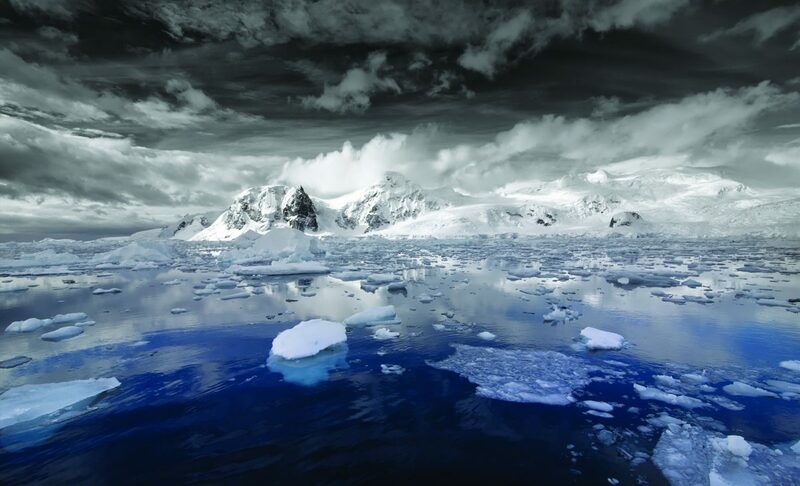 A circular polarizer filter is essential to capture the electric blues and to be able to shoot through the water to show parts of the submerged ice. It is also important to change lenses to either zoom in to show the character of the iceberg, or to switch over to wide angle ones to give the perspective of space and relative size. The icing on the cake, as far as I was concerned, was to break off a small chunk of one of the icebergs and carry it back to ship. From this, I cut a few pieces, put them in a glass and poured myself a single malt ‘on the rocks’—a fitting finale to the whole experience! When the trapped bubbles in the ice came to the surface and burst, it felt rather soulful to breathe in the air confined within, probably from the days when the Woolly mammoth and Sabre-tooth walked our planet. Read also: Distant doubles or reptiles replicated?